Once upon a time (2006), Jason Calacanis, entrepreneur and founder of the “human-powered” Mahalo search engine, famously declared SEO “dead.” Back then, social media networking was just starting to take off as a widespread mainstream and corporate marketing phenomenon. Of course, everybody at the conference where Calacanis uttered those immortal words was immediately outraged and even debated this argument with their colleagues around the water cooler after returning back to work. Today, we’ve become accustomed to hearing numerous people utter some variation of these words (including Fathom’s Brad Miller) and seen SEO go through enough transformation and reputation swings from black magic ranking secret sauce to “It’s all about the content” that we’d no longer be shocked by the bold Calacanis proclamation of 8 years ago. The lesson? He seemed to notice early that there was more to marketing than gaming Google, that social sharing was going to play an increasingly large role in the popularity of a website or a given piece of content. Along the same lines, I think his criticism of SEO was as much a critique of the way it was commonly practiced back then: Tricking Google for short-term gain. As everyone knows, Google got smarter. Tricking it, though while still possible, takes much more effort and bares much more risk should you get caught. And not only can penalties shutter the gold mine that is organic traffic, but they can also threaten future indexing/ranking by putting the burden on the offender to actively remove “bad” links or otherwise undo damage that may have spread well beyond the actual website of the business in question. In other words, messing with Google often results in big messes. How do you practice SEO in such an environment? By keeping the customer in mind. The ‘find and abuse exploits’ era of SEO is ending. The only logical strategy today is to be so good that Google looks bad taking you out. Here, here, Rand! Serve the customers, make your website (and overall Web presence) the attractive face of your business, and you should end up on the right side of the law … er, I mean, Google. Imagine Google penalizing a website due to some random or heavy-handed interpretation of its SEO policies … a common enough occurrence. Which business stands a better chance of quickly overcoming the hit, the one that was 99% in the clear and may have accidentally done one thing to run afoul of the ever-changing rules of the Web spam police, or the one that has an entire back catalog of calculated search-engine shenanigans documented on its site and around the Web? If your goal with SEO is to serve users and build your business by doing great work and letting your customers know about it, then you’re fine. If your goal is to manipulate bots and algorithms, especially for short-term gain, then you’re ultimately harming your business more than helping it. Not sure of the difference? If you have to ask if Google wouldn’t approve, then you’re probably doing something wrong. Don’t do that. 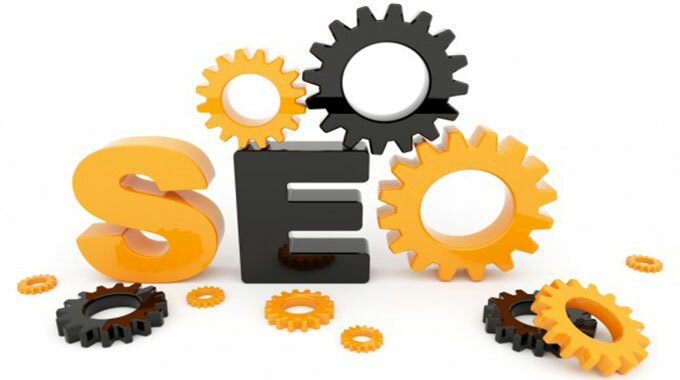 Be real, do proper SEO, and watch your business prosper.